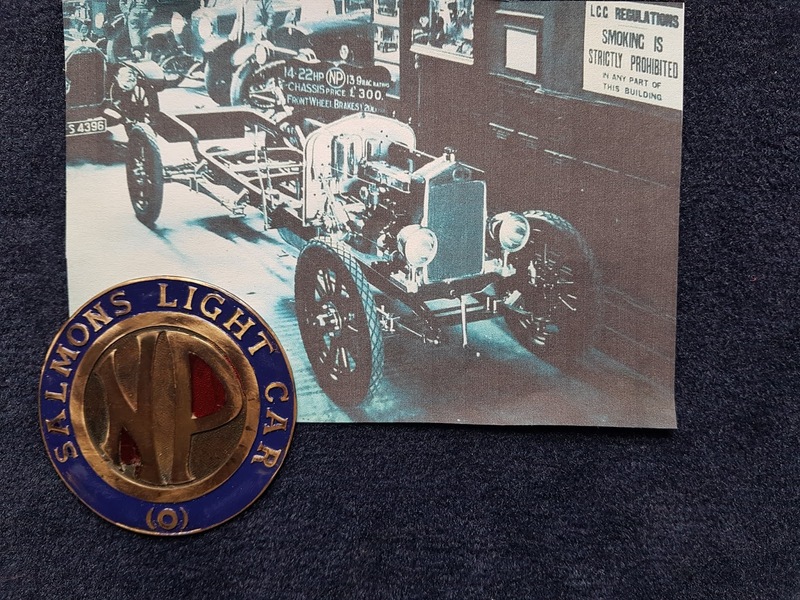 The NP was built in the small town Newport Pagnell / Buckinghamshire / Great Britain from 1922 to 1925. 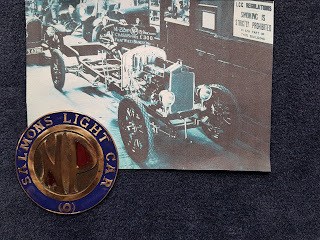 They offered two chassis, one with a four - cylinder 1,795cc Meadows petrol engine and one with a 2,120cc four -cylinder Meadows engine. 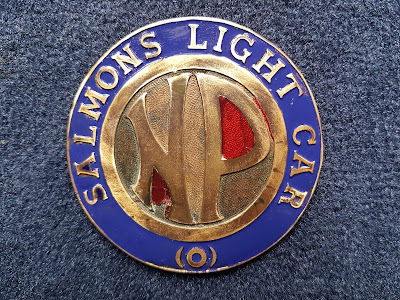 It is said that 395 NP Salmons light cars have been built but Meadow´s sales papers show only 99 engines sold to the Salmons Light Car company. 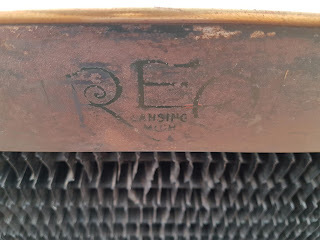 In any case the radiator emblem is a very rare bird. That' collection is looking beautiful, thanks for sharing this! 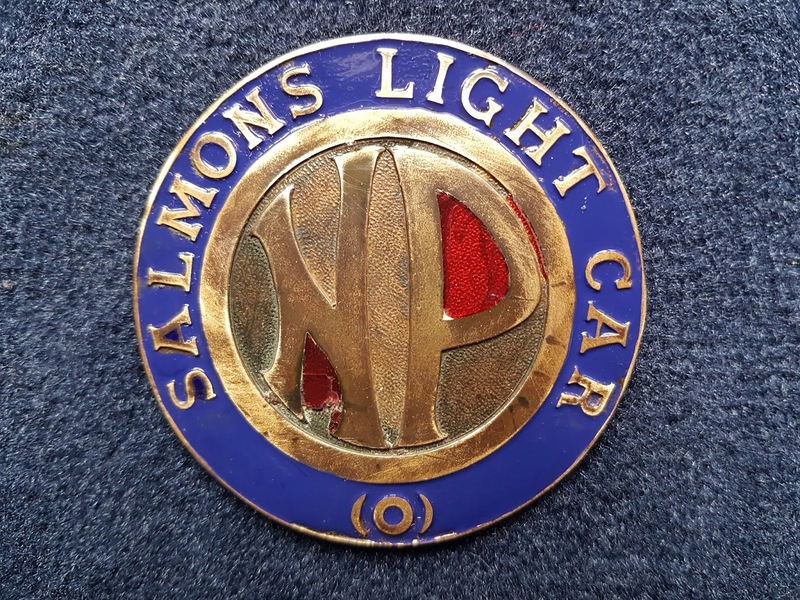 We are the part of this services custom car emblems!